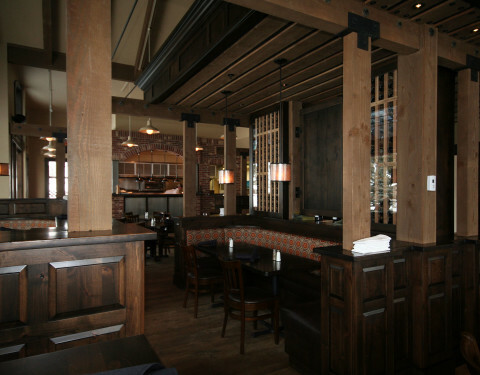 Fresh decor and ambiance create a new beginning for existing restaurant location. 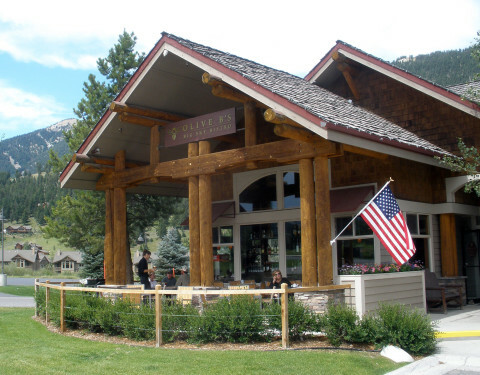 The Big Sky community was excited when Olive B’s Big Sky Bistro opened in February 2012. This new dining option is a welcome delight! 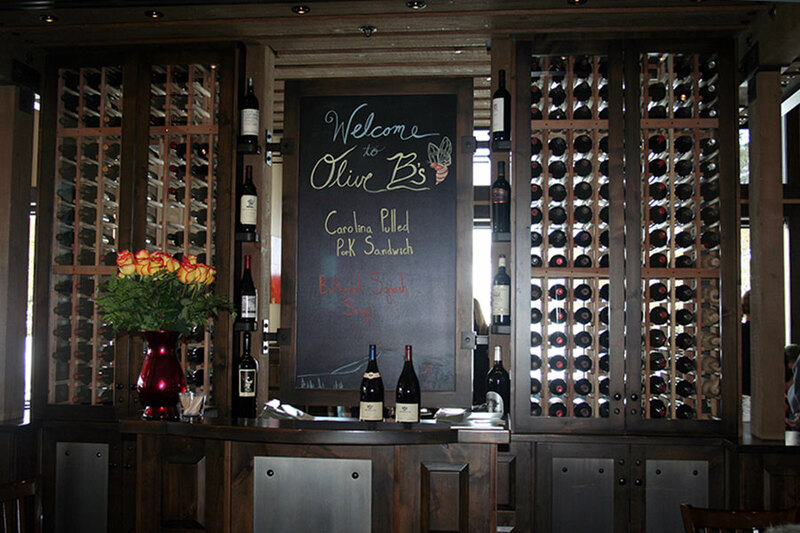 Patrons stood to be amazed when they came to visit Olive B’s for the first time. Not only were the menu and the culinary excellence unlike anything in Big Sky, the restaurants physical setting was completely transformed. The newly remodeled Bistro was completely different than what the local patrons remembered. 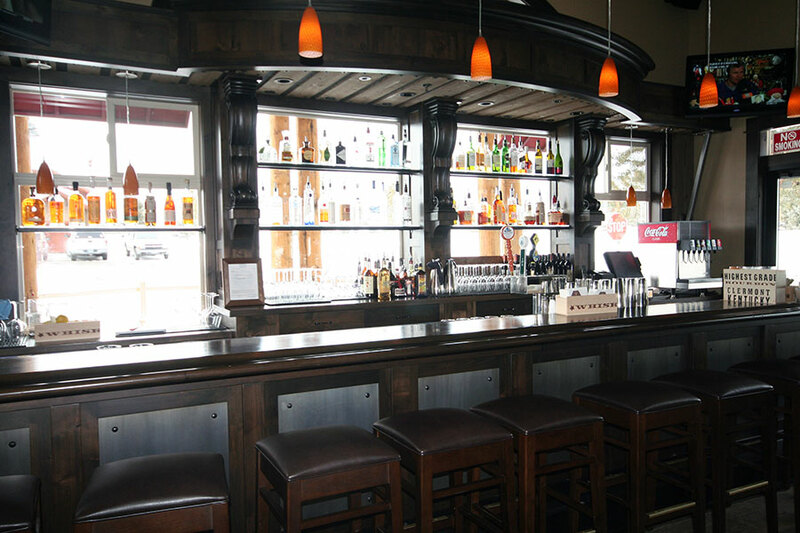 The renovated design includes an entry greeted with a custom wine rack and features large timbers and dark stained custom woodwork throughout, including an impressive new bar and several comfortable wooden/upholstered booths. 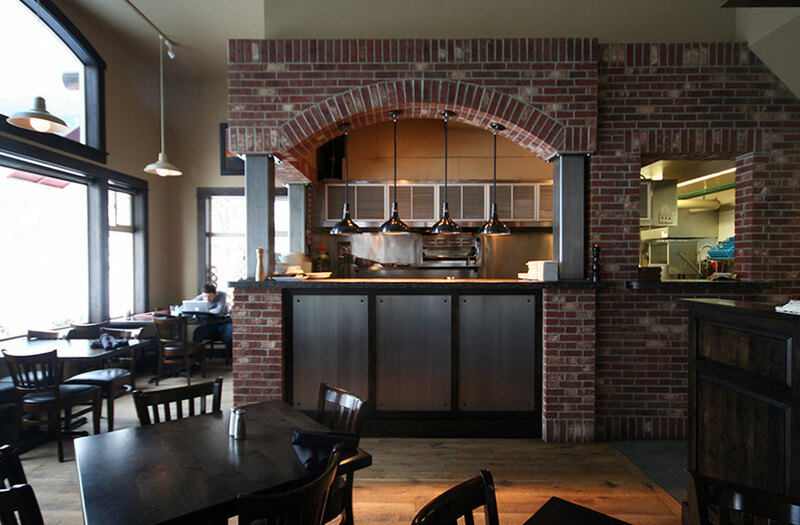 Final touches include an open kitchen featuring classic red brickwork that gives the bistro both style & atmosphere.